Do You Really Need a Wedding Color Palette? If you're starting to plan out your wedding decor and style, you may be wondering: Do I actually need a wedding color palette? The debate rages on. A wedding color palette has always helped set the tone for the big day. Black and white denotes a sophisticated, formal affair; green and pink can complement a garden wedding; gold dictates a more glam setting. But these days, an array of colors (or lack thereof) without a strong connection can work together to create a certain vibe — think a rainbow of hues to create a feeling of whimsy and fun, or neutrals for a timeless touch. Wondering if a wedding color palette is right for you? Read on! Instead of colors, Schumm is more often hearing words like “romantic,” “rustic,” “traditional,” etc. 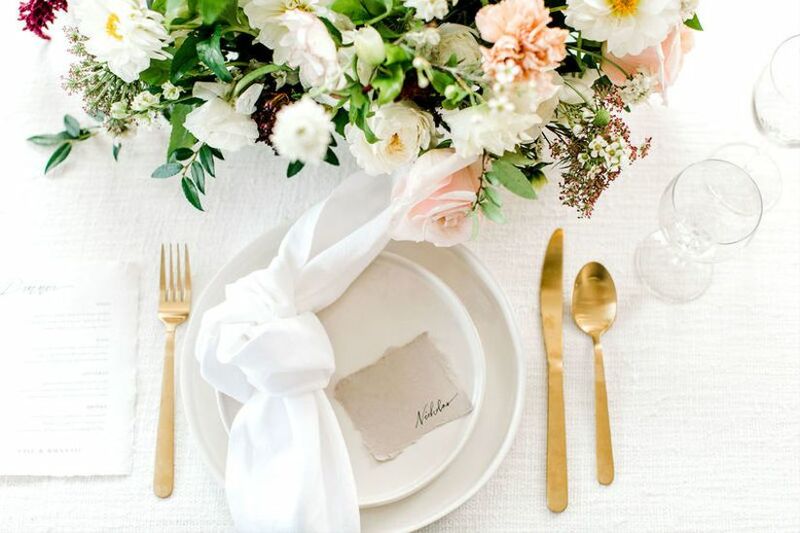 Clients don’t usually start talking about colors with her until they get into flowers and rentals — even then they tend to use more descriptive words such as “neutrals” or “bolds” versus colors. And when couples do have their eyes set on a wedding color palette, they are more daring and adventurous than they were in the past. Cindy Sanchez Lark of Detaille Weddings and Events in Connecticut, notes that when she started in the industry more than ten years ago, couples often stuck to safe colors, such as pinks, peaches, reds, blues, or greens, using one of them in addition to the typical whites or ivories. “Today, couples continue to use these colors and every other in between...mixing different shades into their own custom color palette, incorporating lots of contrast, poppy colors, metallics, and even the occasional black,” she says, adding that today, color palettes act as more of a guideline of the color family being used, as opposed to keeping a swatch and matching the shade like in years past. 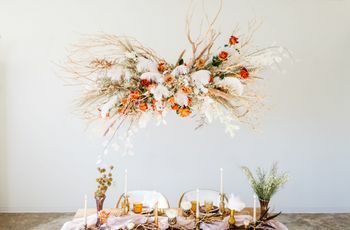 Amanda Allsbrook, owner of Magnificent Moments Weddings in Charlotte, North Carolina, has picked up on a similar trend, noting that wedding color palettes now reflect a range of hues with a focus on softer shades — think choosing a focus color and accent colors that wouldn’t steal the spotlight. 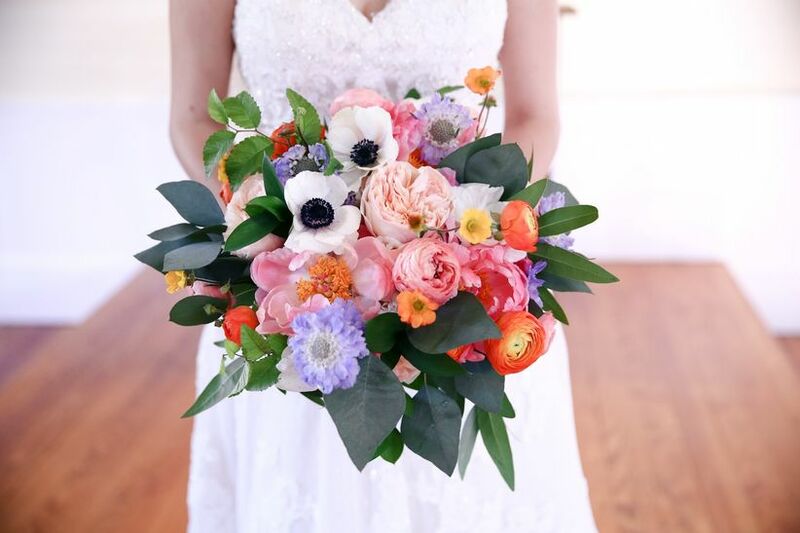 Lauren Groeper of Calluna Events in Boulder, Colorado, also works with a mix of colors. 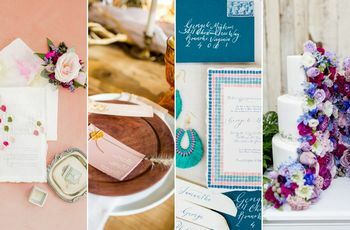 When she dives into wedding design with clients, she and her team work with couples and florists to put together a color board that has anywhere from four to eight colors, typically including a few primary colors to focus on, with secondary colors to round out the theme and feel. 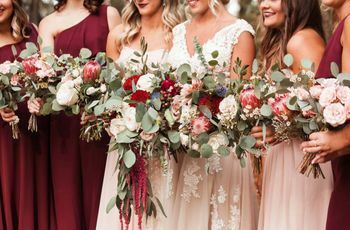 She finds that having some type of a color scheme is important to guide the aesthetic of the wedding, but having colors in the décor or florals that range outside the main palette is perfectly okay. 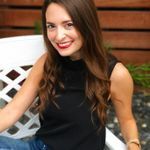 “For example, if we decide to rent a bigger lounge set, there may be be smaller pops of color in a pattern on the sofa fabric or pillow that are not in the core palette, but still work with the overarching feel,” she explains. So, with the way wedding color palettes have evolved over the years — do you still really need one? 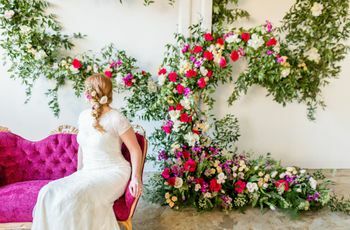 Allsbrook, who believes a wedding at least needs an idea of colors, is of a similar mindset, suggesting that weddings need a target color palette in order to keep consistency throughout the event. She often uses cooloers.co to find the exact shades she’s looking for.